G.P. Putnam's Sons, 9780399175961, 464pp. The Oregon crew are under attack from a rouge hacker in this action-packed installment from the #1 New York Times–bestselling grand master of adventure. 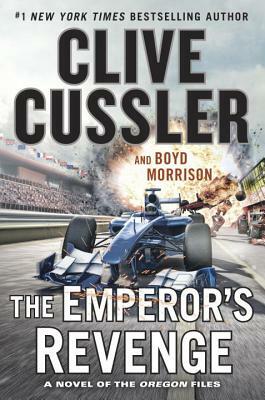 Clive Cussler is the author or coauthor of over fifty previous books in five bestselling series, including Dirk Pitt®, NUMA® Files, Oregon® Files, Isaac Bell, and Sam and Remi Fargo. His nonfiction works include Built for Adventure: The Classic Automobiles of Clive Cussler and Dirk Pitt, and Built to Thrill: More Classic Automobiles from Clive Cussler and Dirk Pitt, plus The Sea Hunters and The Sea Hunters II; these describe the true adventures of the real NUMA, which, led by Cussler, searches for lost ships of historic significance. With his crew of volunteers, Cussler has discovered more than sixty ships, including the long-lost Confederate ship Hunley. He lives in Colorado and Arizona.